Digital forms, certificates and risk assessments for the building maintenance industry. Compliance in the building service and maintenance industry creates mountains of paperwork for contractors. Whether it’s risk assessments, gas safe certificates, signed job sheets or electrical certs, the burden on the contractor to demonstrate proof of work and procedural compliance is huge. This means that contractors have to rely on engineers to be organised administrators as well as technical experts. The fact is that most engineers don’t like the paperwork side of the job and would rather get on with installing and maintaining equipment. The end result is that the paperwork coming back from the field doesn’t necessarily support the hard work that’s gone into the job itself. This can lead to payment disputes, financial penalties and exposure to health and safety legislation. Even when engineers are good at managing the paper trail, it still creates an administration bottleneck in the back office where documents have to be scanned or posted out to customers. 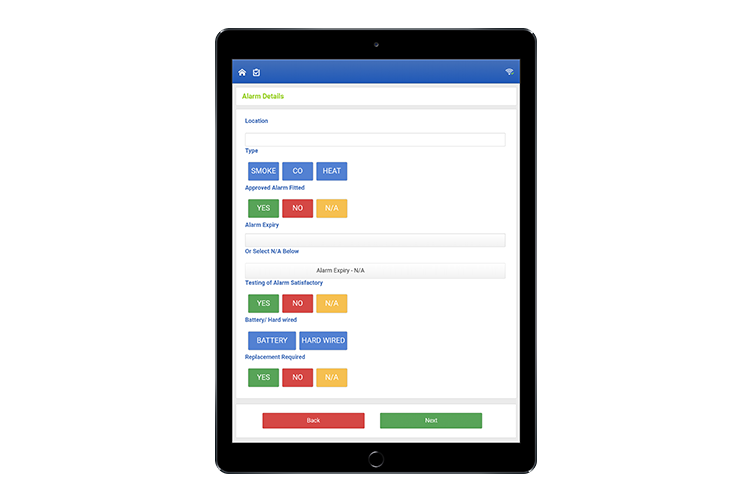 Joblogic’s mobile forms app can automate this process and eliminate paperwork from the process. Joblogic is used by thousands of building maintenance contractors covering many trades. Our mobile app has been in use for over 12 years. This exposure to the industry as a whole has enabled us to create a full suite of industry standard forms for different sectors. 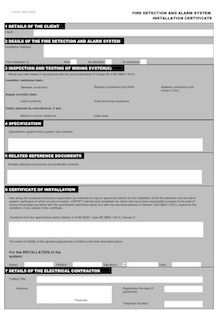 For example, we've got the full set of Gas Safe and OFTEC Certificates. We've developed Water Hygiene Workflows and Electrical Certificates. There's BAFE forms for the Fire Safety Industry. There's installation and service checklists for Automatic Doors. For HVAC there's FGAS and air conditioning service sheets. Whatever your trade we've got you covered. 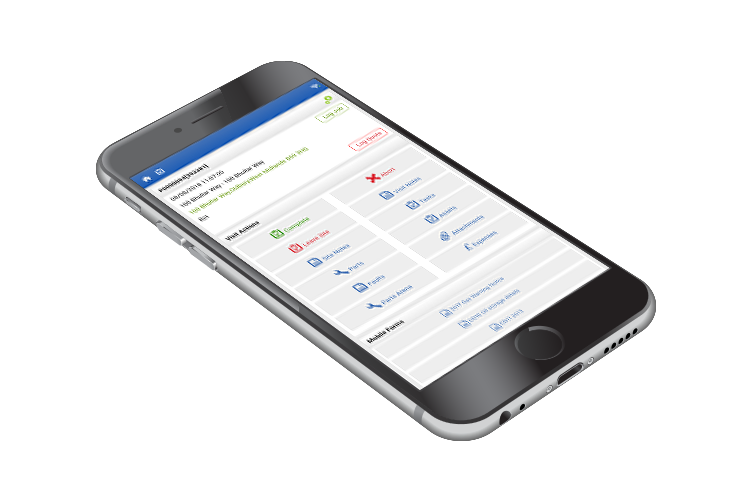 In addition to consulting with our customers on developing industry forms, we've also collaborated with them in building health and safety workflows for Joblogic Mobile. For example, we've built risk assessments which are mandatory for the engineer to complete as soon as they arrive on site. The risk assessment must be filled in before the engineer can continue to the job. It's impossible to enforce this in a paper based system but with Joblogic you can guarantee that every single job has a completed risk assessment. We've also built vehicle checklists that can be forced for completion at configured intervals. This could be daily, weekly or monthly. Whichever you choose you can be sure that your engineer will need to perform a vehicle checklist before travelling to site. 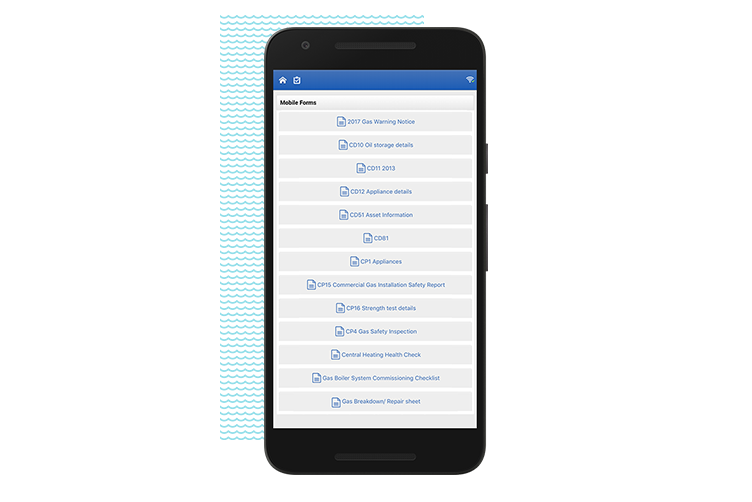 All forms completed on Joblogic Mobile are auto attached to the job so that the back office can check them, and if required, email them onto customers. If customers are using the portal the whole process is automated without the need for intervention from the office. If we haven't got what you want in our standard library we'll happily design a form for you. Perhaps you need a variation on what we've got, or a completely new workflow built around your customer or specialist task. Just get in touch and we'll talk it through then get on with publishing the form on your app. We've got a lot of expertise in creating mobile workflows from scratch so we'll ask the right questions to make sure we understand how the form needs to work in the App and how the end document needs to look in pdf format. 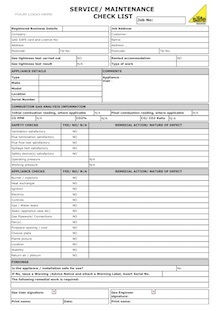 See below a few examples of the bank outputs of our forms. Try our software for free and decide if Joblogic is right for you.